NextStepU: Is It Worth Your Time? The NextStepU website is run by the Next Step Education Group. NextStepU was created in 1995 as an all-inclusive post-high-school resource site, although most of the information is skewed toward the college bound. It has a sister organization, NextStepAcademy, which has courses on “life skills,” including college prep, for a yearly subscription fee. 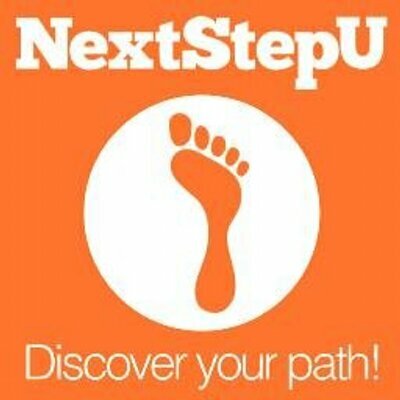 The NextStepU site has a college search feature, a collection of articles related to post-high-school education, a scholarship search feature, and “Your Path,” the latter two requiring registration with the site. You’re asked for your name, email address, phone number, ZIP code, street address, school level, and educational plans. By clicking the NEXT STEP button, you’re agreeing to receive phone calls from NextStepU and their partners about their products and services. There’s no choice to opt-out here, and the whole process is so suspiciously familiar that we wondered if this site is related to other sites using the same registration process. The next page asks for your birth date, ethnicity, gender, and education details such as GPA, test scores, graduation date, and what high school you go to. You then get a page of matching colleges. To see your scholarship matches, click on CONTINUE at the bottom of this page. But where are they? Not on the next page, which is a Welcome page filled with ads and links to articles. We clicked on Scholarship Search and got a list of 32 results. Each listing provides the award amount and application deadline. Clicking on the scholarship name brings up a detail page listing eligibility, purpose, sponsor, and providing an apply button that links you to the application page. Our sense of déjà vu about this site only grew when we reviewed our list of results. They were disappointing to say the least—untargeted and filled with the usual “scholarships.” Our profile gave our residence as South Carolina, yet 4 of the 32 results were for New England residents. There were also six listings of other scholarship search engine contests. Many of the other listings are essay or video contests. A few weren’t familiar, but this sad quality of results speaks volumes about what this site’s primary agenda might be. There are certainly better sites to visit than this one. We suggest you do exactly that.